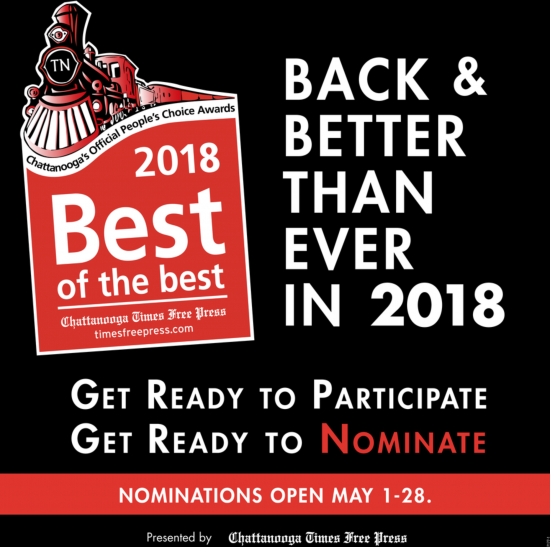 The Chattanooga Times Free Press in Chattanooga, Tenn., was preparing to celebrate the tenth anniversary of its Best of the Best citywide ballot. The paper has grown a lot over the past 10 years, and the staff was looking for new ways to optimize its digital ballot to drive more engagement and revenue. The ballot is the paper's single biggest initiative and revenue driver of the entire year. While it's easy to get stuck doing the same successful things over and over, the team in Chattanooga realized if it wanted to grow revenue even more, it needed to change some of the tactics and do things a little bit differently. The newspaper industry is changing, and they knew they had to jump on board if they wanted to see the benefits. Over the years, the paper's Best of the Best ballot has grown by leaps and bounds, and now it features hundreds of entrants. To make the user experience the best for its audience, the ballot was set up into groups of categories. The ballot ended up with 13 groups, including Beauty & Health, Dining and Vehicles. Each group was then broken down further into dozens of categories. For instance, the Dining category alone had nearly 40 subcategories, including BBQ, Food Trucks, Ice Cream and Thai Restaurants. The ballot kicked off in May with a voting period lasting for almost two months. 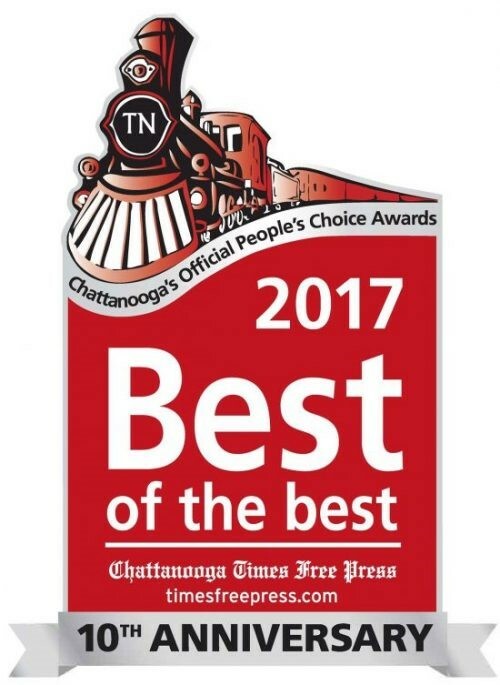 Over the last 10 years, the Chattanooga Times Free Press practically made its ballot a household name in Chattanooga, and readers and local businesses look forward to it starting. But the staff knows it can't take this community excitement for granted. The team at the paper puts forth a strong marketing campaign to ensure its maximizes the engagement with the ballot. First this starts by kicking it all off with a hype video. Watch it for yourself here. The team leverages its core product through print ads, a strong social media campaign, and website banner ads, takeovers and rail ads. In addition to all this, the voting process is kicked off with a dedicated email to the entire database. The great thing about a citywide ballot is that every single person in your database will be able to find a category they're passionate about. With email being the biggest driver of traffic to the ballot, this is a can't-miss step in the marketing process. Each year, the paper expects the participation and engagement with the ballot to grow. So beyond marketing strategies, the staff also incorporated a sweepstakes. For every vote cast by users, individuals would be entered for a chance to win $1,000. Not only did this drive new users to the ballot, but this also encouraged users to vote day after day in multiple categories. After voting wraps up in July, the team at the paper has about a month to go through all the votes to confirm the winners. Since moving away from paper ballots and collecting all the votes digitally, this process now takes drastically less time before. The big benefit of that? More time for the sales team to start making revenue. The winners and finalists are announced in a special tabloid and online winners' directory on the paper's website. Having these winners' products is crucial for sustaining excitement (and revenue) through all 12 months. Over the years, the Chattanooga Times Free Press learned that being able to leverage an exclusive ad opportunity is a big selling point for the sales team. Because of this, the staff limits ad spots to the category winners and the two top finalists only. Since not every advertiser has the means to pay the same amount, the paper offers a variety of advertising packages to sell to winners and finalists. Depending on the amount they want to spend, advertisers can choose a variety of elements, such as ads in the printed tabloid, website ads within the online directory or even a custom thank-you email to the Best of the Best database. While many companies may think at this point they're done with their ballot, the team in Chattanooga takes it up a level by hosting a huge, formal event the last Thursday of September honoring the winners and finalists. This invite-only event welcomes more than 1,500 attendees and sells out each year. It's timed so the winners' tabloid and online winners' directory aren't released until the next day – this means the staff gets to capitalize on the excitement and surprise of announcing the winners live. But this event isn't just for fun; it's become one of the biggest revenue generators of the Best of the Best ballot. Not only do attendees pay for tickets, but many clients will purchase entire tables to bring their staff to celebrate the year's accomplishments and see if they win. The paper took the opportunity of it being the tenth anniversary year; inspiration added an additional element to the winners' event. Available only to clients who had won their category every single year, the staff offered to create a special video honoring thoe businesses for an additional revenue opportunity. You can watch these videos for yourself here. Inspired by the Second Street Summit, these testimonial videos aren't just an amazing tool for the advertiser to use throughout the year. They're an outstanding tool for the paper as well. Hearing the local businesses talk about the pride they take in winning the Chattanooga Times Free Press' Best of the Best is amazing. The results this year were phenomenal. After all was said and done, the ballot drove in over $630,000 in revenue from advertisements and sponsorships – the most revenue ever to date. Plus, more than 21,000 people participated in the ballot and cast over 71,000 votes. But one of the best things about the ballot is that it isn't just a big deal for the team at the paper. Every year, businesses reach out thanking them for what the paper does. 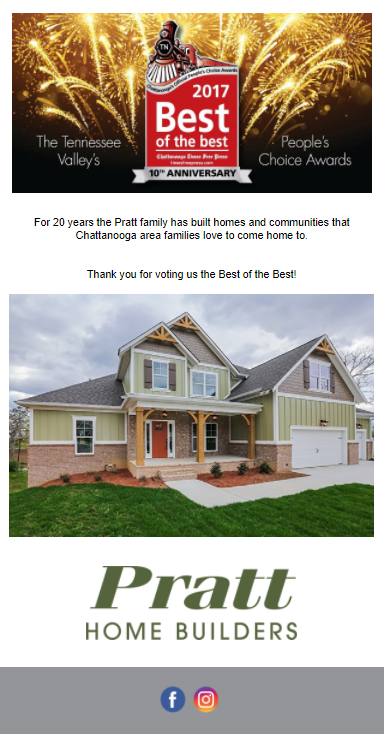 A local home buyer sent this: "To be able to display a Best of the Best logo in our office, model homes and in our advertising gives our prospective home buyers the assurance they are putting their trust in a builder who the public has found worthy of recognition." Even though this was the tenth anniversary year, the staff has already set themselves up for bigger and better next year. After hearing more ballot best practices, they're expanding the ballot into three phases, selling category ads, and offering enhanced listings to bring in even more revenue. They've already put together a strategy, and the sales team is up and running! This year's goal is $1,000,000, and they're confident the team can make it happen.